Routes Europe brings together airlines, airports and tourism authorities to plan new flights and strengthen existing routes, meeting in a new location every year to highlight different markets to the aviation industry. 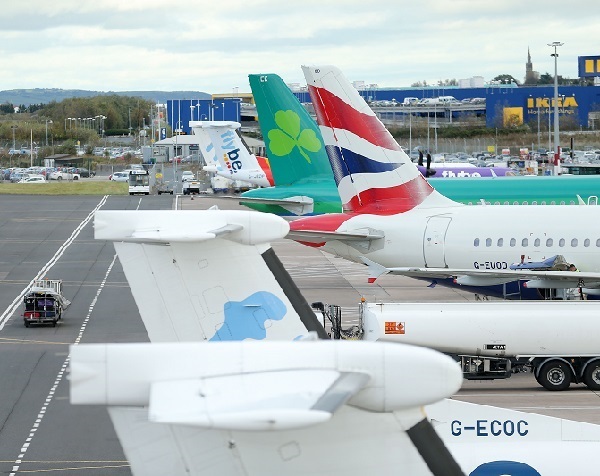 This year it was held in Belfast, where local stakeholders hoped to advance the fortunes of the province’s three civilian airports – Belfast International (previously known as Aldergrove), George Best Belfast City (previously Belfast Harbour) and City of Derry Airport. More than 1,200 delegates representing 100-plus airlines and 270 airports gathered at the Belfast Waterfront venue near the Titanic Centre in the dramatically revamped riverside quarter. Other stakeholders supporting the event included the Northern Ireland Department for the Economy and its agencies, Invest NI and Tourism NI, as well as Belfast City Council, Visit Belfast, Tourism Ireland, and the event venue. Low-cost airlines are responsible for much of the recent growth in air traffic in the province. Ryanair’s new base at Belfast International Airport has had the biggest impact, introducing flights to Berlin and Milan and a service to Gatwick that operates four times a day; 13 additional routes will be operated during the summer 2017 schedule. Belfast City Airport’s new routes include Eastern Airways’ regional UK flights and Icelandair’s three-times-a-week service to Reykjavik (starting in June) which will provide easy connections to its network of destinations in the US and Canada. City of Derry Airport has also secured a new airline to Northern Ireland – bmi regional, which has just launched a high-frequency service to Stansted. However, the province has the UK’s only land border and the application of UK APD has had a negative effect. 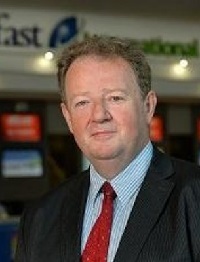 Belfast International Airport managing director Graham Keddie points out that Belfast has essentially the same population catchment as Dublin, around 1.6m, yet Dublin Airport is far better connected than Belfast. Dublin is now consciously and prominently in its publicity using the existence of APD to tempt Northern Irish passengers to fly from Dublin. Much of the airport’s publicity budget is now being spent in the north. The catchment leakage is significant, with more than 1m travellers making the journey each year; many flying to key business destinations and thereby undermining Northern Ireland’s ability to develop direct links from its own airports. The UK Treasury is open to permit regional devolution of APD, but with one sting in the tail – the local administration will have the foregone Treasury revenue deducted from its block grant. Reasonable as this sounds, it omits the fact that any stimulation of the economy due to the lifting of the tax will be reflected in more buoyant takings for central government and not for the local administration. PWC in a 2013 study found that based on published government data, the direct costs to the Exchequer of APD abolition would be around £3bn-£4bn a year through lost APD revenues. Using a cautious set of assumptions, PWC’s analysis showed that receipts from other taxes would be expected to offset the direct Exchequer cost. Hence, such a change would be largely revenue-neutral. Brexit has now highlighted the special challenges that Northern Ireland will face in any likely new arrangements with the EU, and the abolition of APD, at least in the province, would be a welcome and appropriate element in any regional package aimed at rebalancing the economy. Also at Routes, Swedavia, which owns and operates Sweden’s 10 main airports announced it is out to strengthen direct links given that much Swedish traffic to the UK has historically been funnelled through Copenhagen or even Amsterdam. 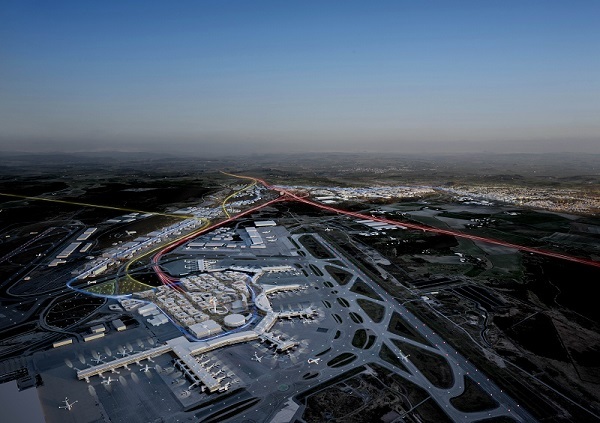 Officials noted that for the main airport at Stockholm (Arlanda), new links or enhanced frequency from Luton, Birmingham and Manchester are coming on line this year. This is in addition to existing links with Heathrow, Gatwick, Edinburgh and Luton, and a Ryanair service from Gatwick to Stockholm Skatsta (not part of the group). Gothenburg, Sweden’s second city has services to Heathrow, Gatwick and Stansted, but Malmo, despite best efforts does not yet have a direct UK link. Arlanda meanwhile is enjoying a host of new hotels and is home to an exciting business corridor being planned straddling the airport in the directions of both Stockholm and Uppsala.